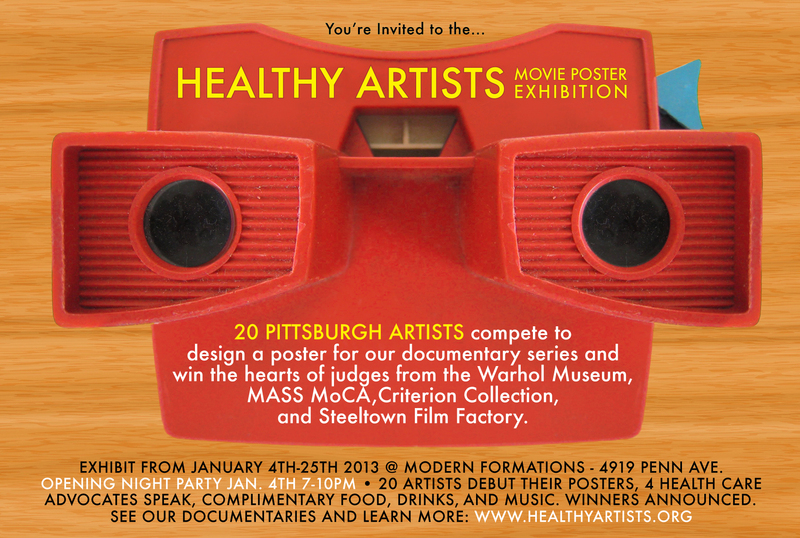 This Friday, January 4th, we will kick off 2013 in our own special way: The Healthy Artists Movie Poster Exhibition! We commissioned 20 (now 21!) of Pittsburgh’s finest artists (ranging from comic book artists to painters, graphic designers, and beyond) to design a poster for our series. An esteemed judges panel will select the top three designs, and we will announce the results on Friday, at our opening night event. Get acquainted with our artists and their work before you come out, and imagine what their posters might look like! Also, read the article from Pop City on our exhibition and our organization’s ambition to keep “young people’s career dreams alive”. See you on Friday! Poster Leak in the CP!